View More In Home Office Desks. The Adapt Desk by Studio Designs in handsome Black/Spatter Gray is versatile enough to suit any job at work or in the home. 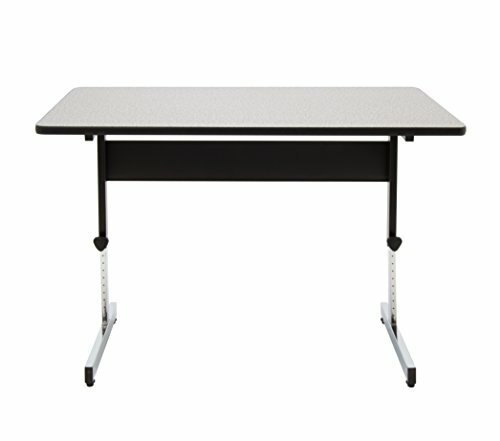 The desk adjusts in height from 22 to 32 inches in 1" increments. Its durable construction includes a sturdy base with floor levelers for stability. The attractive wood surface supports heavy office items like computers and books thanks to its 1" thickness and T-mold edge band. Main work surface: 47.5''W x 30''D. If you have any questions about this product by Calico Designs, contact us by completing and submitting the form below. If you are looking for a specif part number, please include it with your message.